Dr. Daniel DeLeon is a gentle, caring dentist who uses the most advanced materials & procedures available. He practices comfortable, health-centered dentistry with a strong emphasis on getting to know each of his patients. In addition to his technical proficiency, Dr. DeLeon is a careful listener & will explain beforehand what treatment is best for your individual needs. After earning his bachelor’s degree from the University of Illinois, Dr. DeLeon received his doctorate from the same university’s College of Dentistry. He has since completed over 800 hours of continuing education courses with an emphasis on complex cosmetic & restorative dentistry, implant restoration, aesthetic dentures & fixed bridge work. Dr. DeLeon is also a member of the American Dental Association, the Illinois State Dental Society, the Chicago Dental Society & the Academy of General Dentistry. 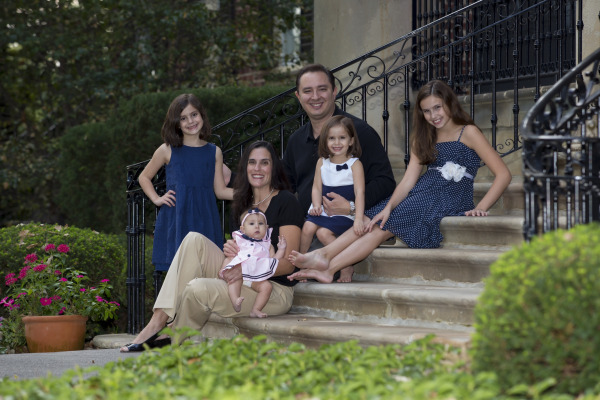 Dr. DeLeon lives in Glen Ellyn with his wife, Gail, & their four daughters. He enjoys reading, spending time with family, & following sports – especially the Chicago Bears! Dr. DeLeon looks forward to your visit & to showing you how exceptional dentistry can improve your life.